Winning at Maths. Losing at Life. Get ready to feel dull by comparison! Can you tell the difference between Jeff Daniels and Jeff Bridges? So put your feet up, get comfortable and get naked, as we talk about this week's movie The Martian. 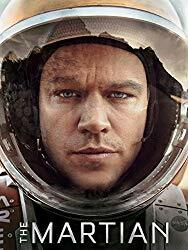 If you're into watching The Martian, you can follow the link below. There is actually a website that maintains a fact file on every episode of Countdown. Why not have a look at how Ben did? Recently the rover Opportunity made the news as it lasted 5,352 sols after being planned for only 90 sols, but what did it discover? Fancy having a go at surviving through The Martian's maths problems? Follow us on twitter @PodcastMathsAt, as well as @ThomasEWoolley and @benmparker. 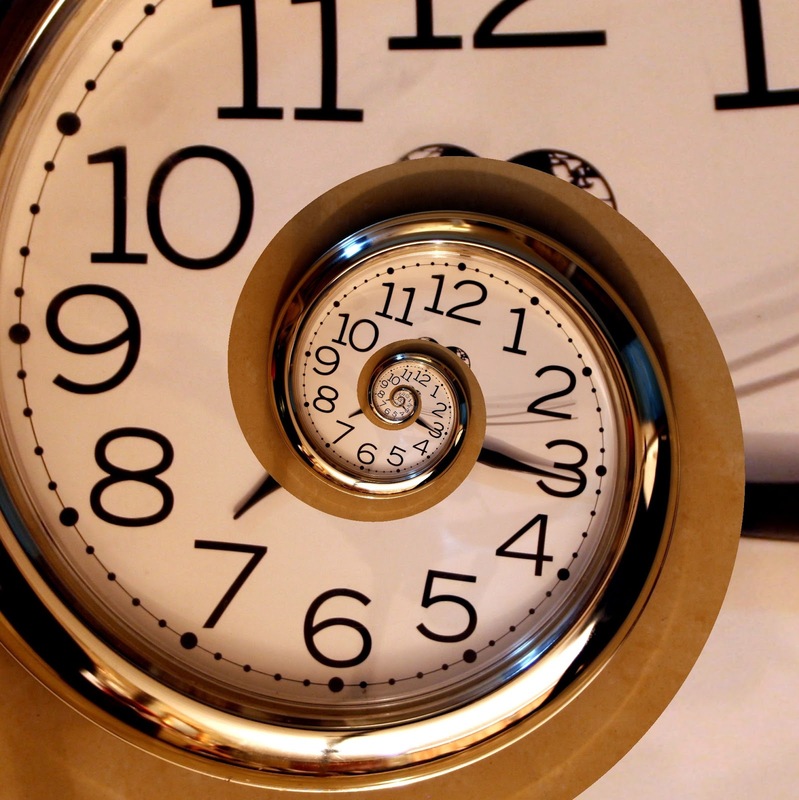 Consider a clock with an hour hand and a minute hand. Starting from midnight, how many times do the hands cross each other in 24 hours. Note, you don't count the starting point of midnight, with the hands overlapping as a crossing, but you do count the last moment, when the two hands overlap at midnight a day later. Normally, clock hands travel clockwise around the clockface. Suppose now that the two hands are travelling in opposite directions. How many times do the hands cross in this case? Well, this was a pain in the backside to edit. The film is so tawdry and dull that we kept getting lost on tangents. Fear not though faithful listener, Thomas has edited the two hours of guff down to a single hour of solid... bronze. How should you flip a mattress? Does the culture you grow up in influence how you learn maths? From our mouths to your ears, enjoy! 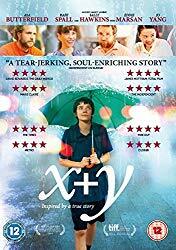 If you want to watch x+y, you can follow the link below. Fancy testing yourself with real IMO problems? What is the difference between IMO problems and research mathematics? A very diffiicult puzzle this week! the three know amongst themselves who they are. You can ask two questions to the people. The answer to which must either be yes or no. What question do you ask and who do you ask? This is an extension of the famous two person puzzle. Normally, you only have two guards, one tells the truth and one lies. You have to choose and open one of the doors, but you can only ask a single question to one of the guards. What do you ask so you can pick the door to freedom? If I asked what door would lead to freedom, what door would the other guard point to? If you asked the truth-guard, the truth-guard would tell you that the liar-guard would point to the door that leads to death. If you asked the liar-guard, the liar-guard would tell you that the truth-guard would point to the door that leads to death. Therefore, no matter who you ask, the guards tell you which door leads to death, and therefore you can pick the other door. The inclusion of the trickster guard, however, changes the puzzle dramatically. Specifically, you questions have to work no matter who is being asked (truth-teller, liar, or trickster). Further, no matter what you ask, you always have to worry about the trickster screwing up your logic. 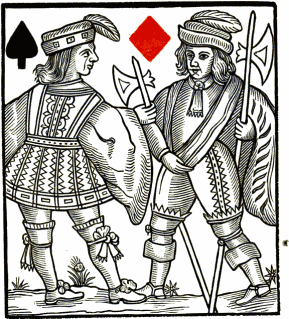 Thus, one strategy is to identify one person is NOT the trickster. We don't have to identify whether they are truth-teller, or liar. In all three cases, B is not the trickster. In all three cases, C is not the trickster. "Would your exact opposite say this door leads to freedom?" Thus, reducing the problem to the previous case. This week is a little different, and I've got to say perhaps one of the most interesting episodes we've ever done! who uses her research knowledge of evolutionary biology and digital literature to show us how to really write a good movie! Liz geeking out with Lyle, will they go on holiday together? Ben misunderstanding publishing, will he ever get his cheese and wine? If you're interested in watching CUBE you can follow the Amazon link below. Wondering what digital fiction looks like? Well try What football will look like in the future? and prepare to have your horizons expanded. If you're interested in the future of literature then have a look at Lyle's recent book. It discusses such subjects as: indie publishers, hybrid authors, and fanfiction writers. Lyle's also written plenty of digital fiction. Again, this is reading, but not as we know it. If you're lazy and got be bothered to read then why not try Lyle's podcast Wonderbox publishing. If you've seen CUBE, when not try CUBE ZERO and CUBE 2: Hypercube. They are equally as bonkers! The geocities CUBE website that actually investigated the mathematics more than we did! Labels: CUBE, Guest, Horror, Mental health, Prime numbers, puzzle, unlucky, Who?, WTF? You cannot ask questions like "Will it rain tomorrow? ", because neither the truth teller, nor the liar can be sure. You cannot ask questions like "What would you answer if I ask you blablabla? ", because if you ask the random liar they don't what their next answer will be. You cannot ask something like "Will you answer No to this question? ", because the truth-teller can't answer this question. All decisions must be based on the yes and/or no answers only. This puzzle is not about "how to find a way around the rules". What is the highest number of eggs that you CAN'T make, when you have boxes of size 6, 9 and 20? Turns out this is called the McNuggest number as McNuggets originally came in boxes of this size. In this case, it turns out that 43 is the largest number you can't make, but how do you prove it? Since we have 6 consecutive numbers that can all be made from 6, 9 and 20, then every number there after can be made simply by adding an appropriate multiple of 6, e.g. 50 = 44+6, 51 = 45+6, etc. This podcast is a Random Walks production performed by Thomas Woolley, Ben Parker and Liz. Simple theme. Powered by Blogger.